Slow cookers are wonderful for multi-course meals because you can prep one dish, like this cornbread recipe, and move on to making more complex dishes while it’s cooking. Courtesy of Kelly Kwok, lifemadesweeter.com, Niagara Falls, Ont. 1. Line slow cooker with aluminum foil and spray with nonstick cooking spray. 2. In medium bowl, whisk together flour, cornmeal, baking powder, and salt. 3. In large bowl, whisk melted butter with honey. Whisk in egg. Whisk in butternut squash, then milk. 4. Slowly add flour mixture to squash mixture and stir until just combined, being careful not to overmix – it is okay to see a small amount of flour. 5. Pour batter into foil-lined slow cooker and spreading evenly with offset spatula. Cover with lid. 7. Using foil as handles, lift cornbread from slow cooker and let cool for 15 minutes. Serve with chili, honey or your favourite buttery spread. 8. Tip: If you want your bread sweeter, feel free to add more honey, or an additional 1/4 cup granulated sugar. Alternatively, if you like a less sweet cornbread, reduce or omit the honey. 9. 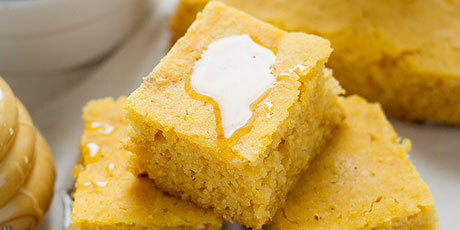 Tip: Cornbread is best enjoyed the same day, but it will remain soft for two days. Wrap it tightly with plastic wrap or store in an airtight container overnight.